Please do not use email to request, authorize, or affect the purchase or sale of any security or insurance product or service, to send fund transfer instructions, or to effect any other transactions, as we are not authorized to accept these requests in an electronic format. Any such requests, orders, or instructions that you send will not be accepted and will not be processed. If you need immediate assistance with your brokerage account, please call 602-369-1834, and ask for assistance. Not all products are available in all states. Securities and investment advisory services are offered through Victory Financial Group, 9401 W. Thunderbird Rd., Suite 189, Peoria AZ 853816. Fee-based investment advisory services are available through qualified investment advisor representatives only. For additional important information, visit VictoryFinancialGroup.com/disclosures. Victory Financial Group's outgoing and incoming email is electronically archived and recorded and is subject to review, monitoring and/or disclosure to someone other than the recipient. Email communications contain confidential information intended only for the above addressees and may contain information that is proprietary or legally privileged. If you receive a message in error, please notify us and delete the original message. 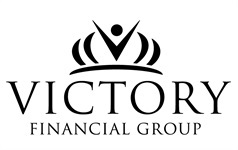 You must obtain permission from Victory Financial Group to use its logo on any or all materials. Failure to do so could result in legal action.